Midfielder Josh Brownhill admits Barnsley are under more pressure than South Yorkshire rivals Sheffield United when they clash at Bramall Lane later today. The 20-year-old has been a regular feature in Paul Heckingbottom’s side since arriving at Oakwell on loan from Preston in January – making 21 appearances. And Brownhill feels the Reds play-off chase adds even more pressure to the already highly anticipated derby. “Of the two of us, honestly, we are under more pressure,” he said. “We want to be in the play-offs, that’s our main aim and if we win this we’re really close to being there. “It’s massive for the fans and us. It’ll be huge if we can get three points and having the bragging rights that come with a derby game. 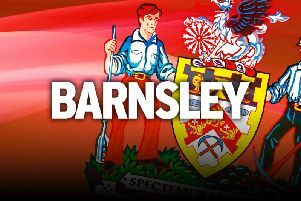 The charismatic midfield maestro believes the Barnsley boys have earned their shot at the play-offs after emphatically turning their season around. “We have a good bunch of lads here and we’re working hard every day,” he added.“It proves if you work hard and do what you do right in training, it shows on the pitch. “It’s a massive turnaround from where we were to where we are now which is a big achievement in itself. All the lads know they should be in the play-offs and that was our aim. “Now we’ve got there or thereabouts, we want to keep going and get in there. “I think we’ll have to win every game to make it to the play-offs. Caretaker head coach Paul Heckingbottom has singled out Conor Hourihane’s goal to salvage a point against the Blades at Oakwell earlier in the season as the catalyst behind their play-off push. He said: “If you think back to that game, you sensed Conor’s goal was a big goal. We still went bottom but that was the turning point.